Perhaps you’ve wondered how you can improve the quality of life in your family. Perhaps you’ve wondered if the God-given roles of the family are viable in today’s world. With conflicting voices about the value of the traditional family, where can you turn for guidance about strengthening the bonds between parents and children or about the nature and purpose of the family, motherhood, fatherhood, parenting, and gender roles? God has not left us directionless. He has answered your questions about the nature of families in ancient and modern scripture. He has made clear the eternal nature of gender and sexuality and instructed us on the complementary roles of men and women. Today, a living prophet, Thomas S. Monson, and his twelve apostles–prophets, seers, and revelators of The Church of Jesus Christ of Latter-day Saints for the world–have spelled out in a compelling Proclamation to the World the significance and eternal nature of the family. The Proclamation to the World issued by the First Presidency and the Quorum of the Twelve Apostles teaches several important truths regarding the central importance of the family and its eternal destiny. Before we came to the earth, we lived in a pre-mortal world with our Heavenly Father, who is the literal parent of our spirits. There we prepared to come to earth in the time established by the Lord. Our heavenly home was a sacred place where we were able to progress and develop. However, we all knew that in order to further develop, we needed to come to earth to obtain a physical body and be tested, while developing faith, integrity, and a desire to be with the Lord. Jesus Christ, under the direction of our Heavenly Father, created the earth to be our mortal home. In this physical world our first parents (Adam and Eve) received the commandment to multiply and replenish the earth. The same commandment is given to all men and women, but special rules apply to using the power of procreation. Men and women need to be legally married to be able to use the sacred powers of procreation in the way that is acceptable to the Lord. Mormonism declares the supreme importance of “eternal marriage,” a marriage that is performed only in sacred places called temples. 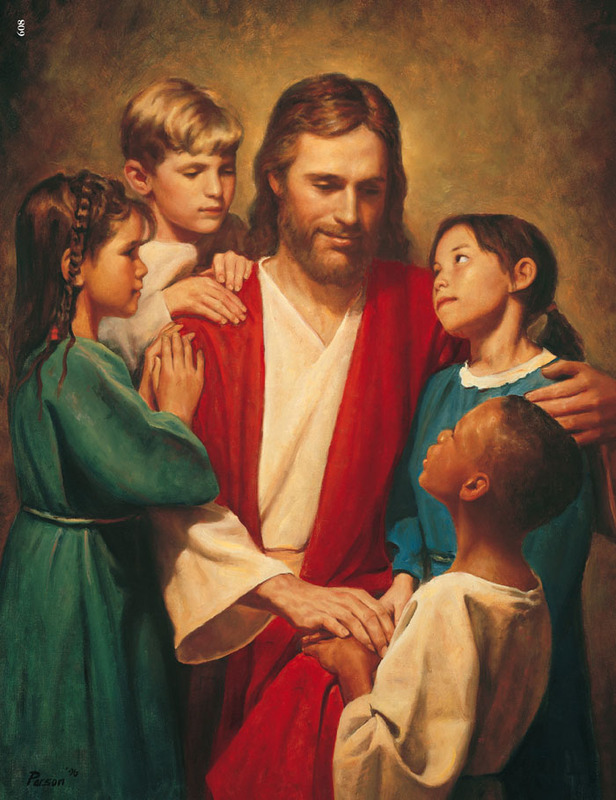 According to the doctrine of Mormonism, when we are married for time and all eternity in a sacred temple, and we live faithful to God’s commandments until the end of our lives, we are entitled to receive the special privilege of living with God the Father and Jesus Christ in the highest level of Celestial glory in their Kingdom. When husband and wife fulfill their obligations as righteous spouses and parents, they will find joy and the Lord will bless them. Mormons devote their best efforts to creating homes where their children can properly grow and develop, preparing for the challenges of life, and learning to rely on the promises of the Lord to all the faithful. Mormons believe that our families are eternal. This means that if we live righteously and according to the covenants made in the temple, we can live with our families forever, even after this life. Since the blessings associated with eternal families are so glorious, it’s easy to understand why Mormons are so concerned about their families. Our earthly homes should be places that enable further progression of our children, who are nothing less than children of our Heavenly Father. The earthly homes we create should be sanctuaries from confusion and danger; they should be places of joy, and that includes fun. When family members concentrate on developing their own god-like qualities (patience, tolerance, understanding, charity, unselfishness, etc. ), family members will want nothing more than they will want to be together–always.